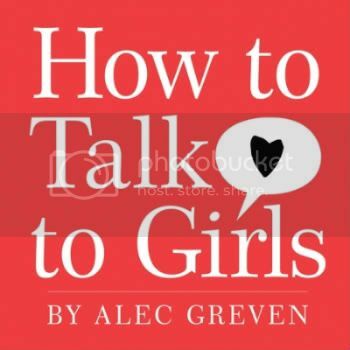 This is Alec Greven, a 9-year-old ladies man who wrote a book called How to Talk to Girls. This kid knows what's up! He is so going to have all the girls in the sandbox coming over after school to get help with their science homework! This is a hoot! You are not kidding about the sand box!!!!! He is awesome!!! Perhaps, he should do professional speaking to the single men of today...he's definitely onto something. Haha that kind of creeps me out. And then makes me depressed because a 9 year knows more about dating than me. P.S. I gave you an award on my blog! haha that's hilarious...dont be hyper! I remember seeing this on TV and thought it was probably one of the funniest things I have seen for a while. I'm glad I'm not the only one who thought so.